The Syrian master of the "Lady Aziza" was sentenced to two years and 10 months in prison. 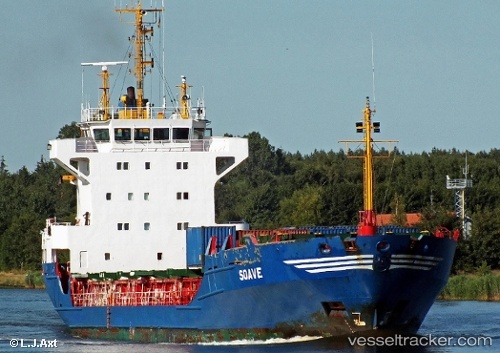 In the morning of Dec 28, 2014, the ship had run into the port side of the cargo m/v "Gokbel" which sank. Five crew members died when the ship sank within a few minutes. The criminal proceedings ended in the afternoon of May 24, 2018, with a plea bargaining for crimes of negligence and negligent homicide. The investigation revealed a contest of the two master's fault, for lack of vigilance: the Syrian was the only one who could be prosecuted, because the other one died as a result of the impact. On Jan 26, 2018, the "Lady Aziza" was auctioned by a British bidder for 650.000 Euros. The starting price was 413.000 Euro. The ship had been involved in the collision with the "Gokbel" in 2014 in which six seafarers died. Since February 2015 the ship was laid up in Ravenna. In November 2017 went adrift in the dock after breaking the moorings due to bad weather. An assessment in October 2016 had attributed the ship a value of 516.000 Euros. Now there was time until Feb 13 for five new offers that must be at least one-sixth higher. If no offers are received, the successful tenderer will have to proceed with the payment.